Campsites in the West Midlands and central England are often over-looked in favour of their coastal counterparts but, for those who take the time to pause and explore, camping in the West Midlands and central England is a real joy. Gently rolling countryside, pockmarked with settlements and divided by rivers and canals, characterizes much of the landscape, with quieter, less-crowded locations and acres of space for camping. Really, the more you explore and delve into the place you find yourself asking, why would you want to pitch-up anywhere else? Fall out your tent and start walking. Stretching from the rolling countryside of Warwickshire across to the high Shropshire Hills and the Welsh border, the West Midlands offers dynamic and varied scenery wherever you go. 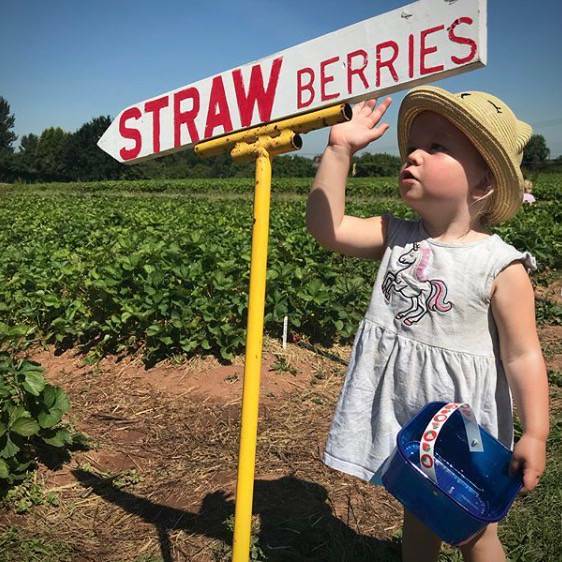 From beautiful river valleys to flat, cycle-friendly canal-sides there are endless wonderful places to explore, either as a family or with friends. Hop from county to county or stay put in one campsite, with plenty of options to choose from. 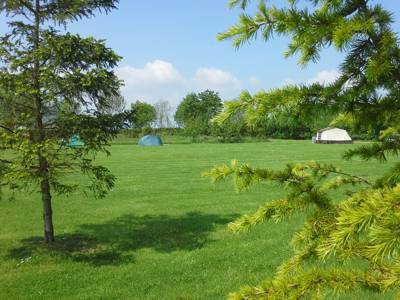 Looking for a Herefordshire campsite? Discover the best campsites in the county with this expertly chosen collection from Cool Camping, including riverside campsites, woodland campsites, dog-friendly campsites and even luxury glamping. 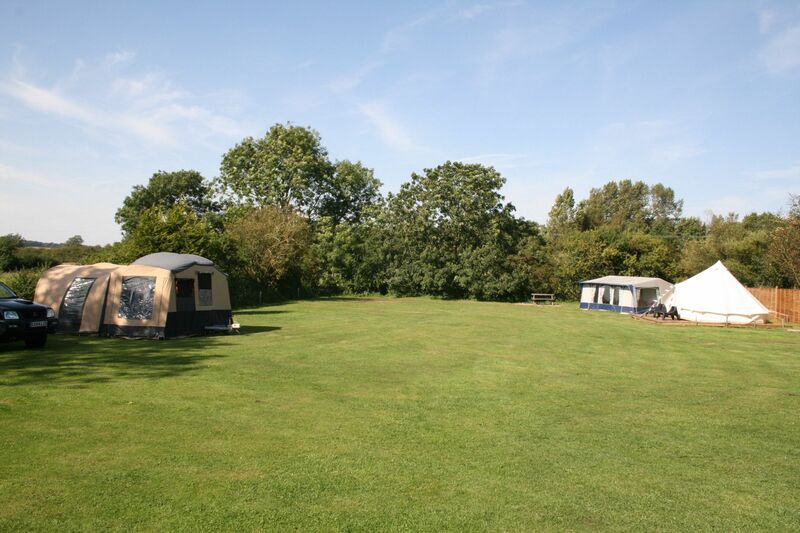 Find all the best Herefordshire campsites now and book them instantly at the best price. Planning a camping trip in Shropshire? The expert Cool Camping team have brought together all of the county's best campsites in one handy collection, so you can pitch your tent in peace with the guarantee of a great stay. Camping in Staffordshire has a lot to offer. With scenic campsites, glamping retreats, child-friendly sites to pitch your tent and campsites close to mountains, what more could you ask for. Read on and book your camping holiday in an instant. 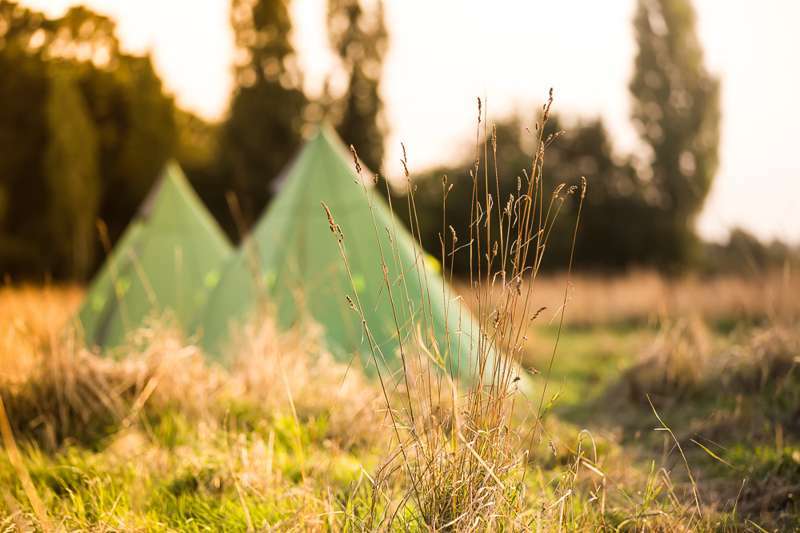 If Warwickshire is next on your list of places to go camping, look no further than Cool Camping’s selection of the best campsites in the area. Hilltop hideaways, scenic campsites to pitch your tent, child-friendly camping, we’ve got you covered. Planning a camping trip to Worcestershire? Read on to find the best campsites in the area, there are pet-friendly sites, scenic campsites, you can even pitch your tent just a short walk from a pub. Cool Camping have a campsite for you. The Malvern Hills is a West Midland’s highlight for anyone who loves the great outdoors; a dramatic nine-mile range of volcanic hills rising from neighboring meadows. This beautiful region is wilderness in the West Midlands and makes for a great walk – and a lovely drive, since there are a few car parks halfway up the Worcestershire Beacon (the hills highest point). The Malvern Hills is generally pretty easy walking country for all campers, offering fantastic views, and an impressive network of hiking trails, most of which can be completed in a couple of hours. As for day trips, Birmingham – the urban hub of the West Midlands and the UK’s second largest city – boasts beautiful Victorian buildings, a state-of-the-art library, and excellent museums. Once one of Europe’s great industrial metropolises, ‘Brum’ also offers picturesque canals to explore, recently upgraded art galleries and many restaurants, craft breweries and cocktail bars to enjoy. Thriving throwbacks to Birmingham’s heritage includes Cadbury Word, the Jewellery Quarter and a former custard factory, which is now creative center for start-up businesses across the West Midlands. Of the four counties that surround Birmingham (Herefordshire, Warwickshire, Shropshire and Worcestershire in case you’re wondering), Warwickshire is perhaps the least obviously beautiful, yet attracts the highest number of tourists – for this is Shakespeare Country. The prime target is the unmistakably Tudor town of Stratford-upon-Avon, with its many Shakespeare sites and excellent theatre; but do make time for nearby Warwick, a wonderland of medieval architecture with charming little streets, dominated by Warwick Castle’s towering turrets. To the north, sleepy Shropshire is a wonderful scattering of hills, castles and pretty villages tucked against the Welsh English border. Ludlow is one of the county’s prettiest towns, with lovely half-timbered buildings, and is fast becoming one of the UK’s leading festive and gourmet destinations. Most campers visit Shropshire to explore the Shropshire Hills, which and is classified an Area of Outstanding Natural Beauty (AONB). Most strap-up their walking boots and strike out along the handful of iron-age hill forts that are evidence of hundreds of years struggle between the Welsh and English. Finally, Herefordshire is one of the UK’s most rural locations, with The Black Hill soaring 640 metres, and loved by wilderness loving campers. East Herefordshire is a pastoral paradise with rich green fields for the famous Hereford cattle, and villages such as Eardisley, Eardisland, and Pembridge make a living for postcard makers. There’s such a fantastic range of campsites in the West Midlands – from a 14-acre grass meadow near Shakespearean Stratford-upon-Avon, to a laid-back family farm within easy walking distance of Britain’s smallest mainland Area of Outstanding Beauty, Cannock Chase. Or perhaps you’d rather pitch facing towards both the Peak District’s Dove Valley and Weaver Hills? 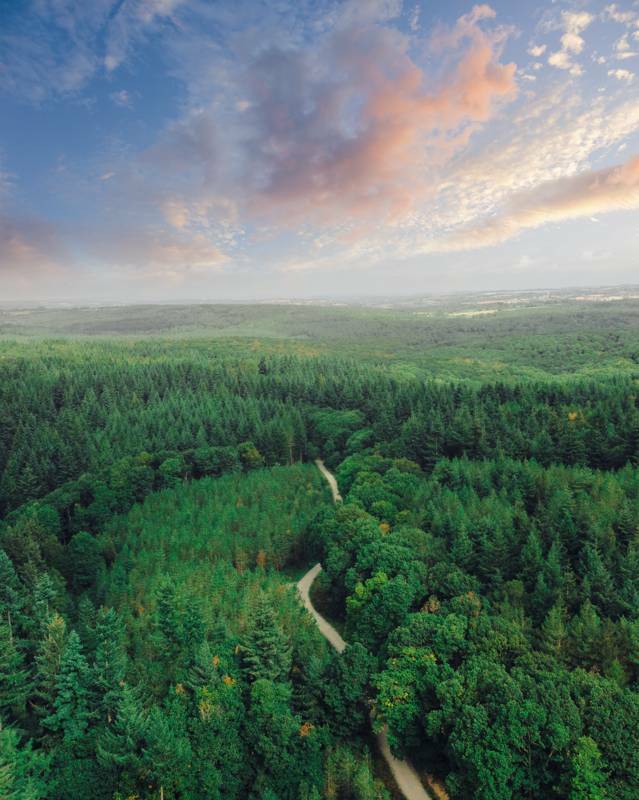 Some of our recommended campsites are situated in woodland, while others occupy unspoiled countryside or large stretches of land in beautiful counties like Shropshire, Herefordshire or Worcestershire. The one thing they all have in common? 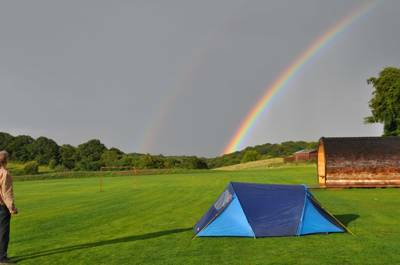 They are the very best campsites in the West Midlands and central England! Tent campsites in the region are often ignored by the camping community, despite being an excellent holiday location. Those searching for a quintessential English landscape will find a variety here in the country's heart: gorgeous green valleys, rushing rivers and woodlands steeped in legend, are all waiting to be discovered – and the best part is, there’s far fewer crowds than the UK’s popular headline locations. Many campsites in the West Midlands are set up as large holiday parks, however, our selection avoids those larger locations, opting instead for the very best small-scale, independent campsites – plus the best glamping options, for those seeking a creature comfort or two. Booking a campsite in the West Midlands is sure to provide you with that memorable outdoor getaway you’ve been looking for. So next time you're planning a camping trip, have a look through Cool Camping’s list of hand-picked campsites – you won’t be disappointed. Dudley Zoological Gardens and its adjoining 11th-century castle have been a family favourite in the West Midlands for generations and requires setting at least half a day aside to visit. The zoo been welcoming visitors since the 1930’s and is home to some of the world's most exotic animals. Inside the Rainforest Suite, the Arachnophobia workshop can even help campers cure their phobia of snakes or spiders. Not far from the heart of West Bromwich, Sandwell Valley Country Park is an unlikely setting for a fully-restored working Victorian farm. The park has an excellent adventure playground, with aerial high ropes course next to it, and cycle hire. There’s also a RSPB visitors centre – ideal for a spot of peaceful birdwatching. The 18th-century Hawkstone Park Follies – just north of Shrewsbury in Shropshire – is lots more than just a garden. Created by the Hill family back in Tudor times, there’s a magical walk through woodlands and along cliff edges – discovering ravines and tunnels. The little ‘uns will love being given torches to explore the caves and tunnels, whereas parents love the fabulous views. Dogs are welcome too. Even without the excuse of having a child in tow, a visit to Cadbury World is a decent option for a rainy day. The new 4D film – a virtual ride on the Crunchie rollercoaster – is perhaps the only thing that captures the Willy Wonka-ish world you might expect. Some kids (OK, adults too) will love the cups of melted chocolate handed out in the factory, which you can adorn with sprinkles, marshmallows, and – of course – chocolate buttons. And, after meeting the Cadbury drumming gorilla, you will be humming Phil Collins until you return to your campsite. Finally, the Black Country Living Museum is 26-acre site onto which more than 50 buildings – including a Methodist chapel, pub and school – have been dismantled brick by brick and rebuilt to create a late 19th-century Black Country village in Dudley. Exhibits also include a 1920’s cinema, a 1930’s fish and chip shop, or you can take a half hour tour into a mine to experience the life of an 1850s miner. So, you love the idea of camping in the West Midlands, but you can’t quite say goodbye to your creature comforts? Don't worry, glamping is the ideal solution. 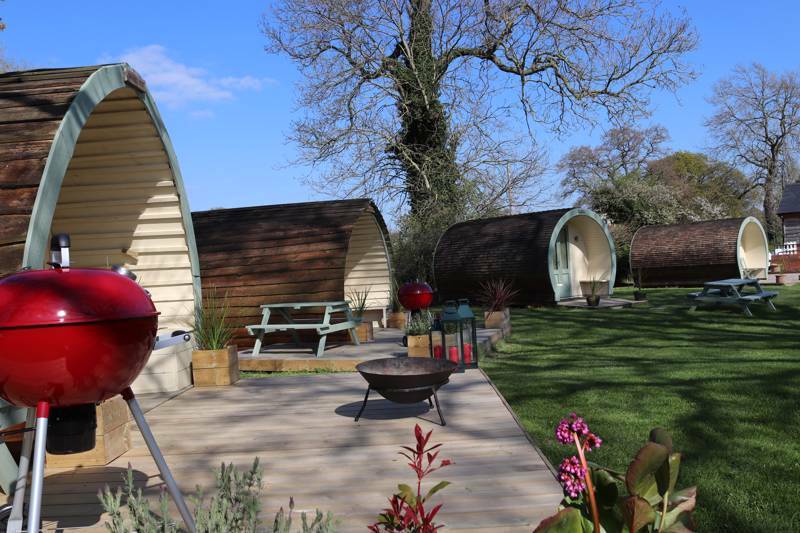 Featuring all of the best bits of camping – with a little luxury and glamour thrown in – glamping in the West Midlands and central England can be a fantastic experience. There are plenty of wonderful glamping sites available to book on Cool Camping, ranging from high-end luxury yurts near the Peak District and family-sized safari lodges on the edge of the Malvern Hills, to a secluded tipi on a riverside dairy farm in the Wye Valley and a winter-worthy shepherd's hut handmade entirely from one single ash tree, that blew down years ago. 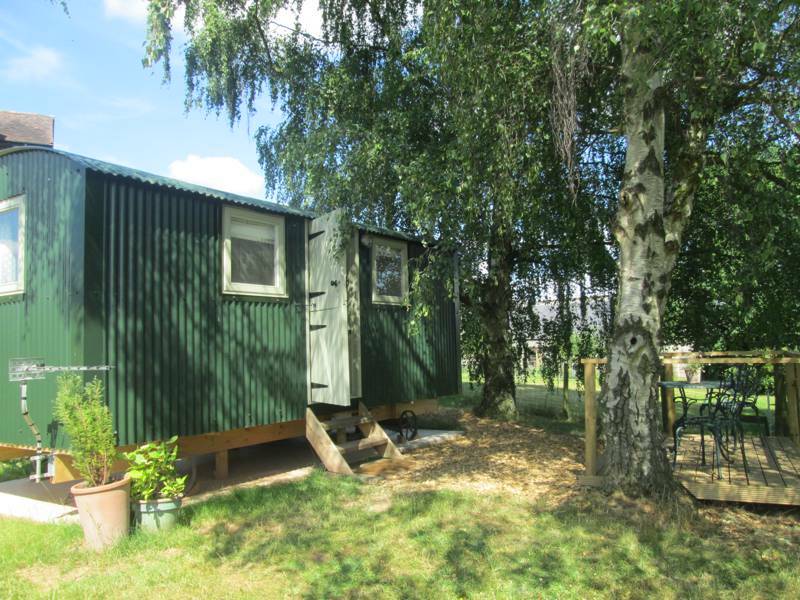 So if you fancy glamping in the West Midlands, take a look and find the glampsite that's perfect for you. And it’s not standard glamping accommodation on offer either. We've been out and about exploring and have been impressed by the range of unique accommodation that’s available in the Midlands. A boutique luxury hut in the Worcestershire countryside has blown our minds, while we've also found a spectacular treehouse overlooking a trout pool at England’s number one alpaca farm! Glamping is exactly as the name suggests: the ideal combination of outdoor living, with creature comforts you would expect of a hotel. The concept been around for a decade now, but glamping is really starting to take off across the UK, especially with outdoor enthusiasts looking for an alternative to a city break or beach holidays. Whatever you're looking for, the best locations will be right here on the Cool Camping website. 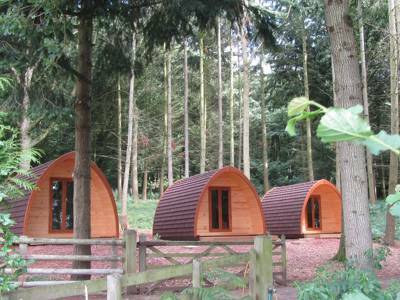 So take a look now and discover your next glamping adventure in the West Midlands. We know how dear your canine chum is to you and we love seeing them enjoy the best dog freindly campsites campsites in the West Midlands. The heart of England is the perfect location to take your four-legged friend on a camping getaway, from the rolling countryside to the universal dog-friendly welcome. If you’re keen to take your dog with you camping, there are plenty of reasons to choose the West Midlands and central England. First, it’s easily accessible from most parts of England and Wales, so you can keep car travel to a minimum. And with far fewer visitors than other popular camping locations, there’s plenty of space for your dog to roam: from long walks in the scenic Malvern Hills, to woodland strolls in Shropshire, and secret canal walks in Warwickshire. Also, Cannock Chase in Staffordhire (20 miles from Birmingham city centre) is a paradise for dogs, with gorgeous woodland walks that takes you through Fairoak Valley. Best yet, the West Midlands is among the most dog-friendly regions in the UK. Many restaurants and cafés will happily allow your pal inside – and they may even provide a bowl of water and a biscuit. The choice of dog-friendly campsites in the West Midlands is excellent, and you will find that the majority will be happy to welcome your dog, either free of charge or for a small supplement – so do check before booking. Some campsites will feature hoses for washing down your muddy dog, and even designated dog walking areas so you can let your dog off the lead. Whatever you're after, search for the best dog-friendly campsites in the West Midlands, and book your next holiday online today. If you’re looking for a friendly Shropshire pub with an idyllic location, The Bridges (01588 650260) is hard to beat. Situated at the foot two rivers, this family-run pub uses local ingredients and serves food all day, every day. In the winter the log burner is a snug and comfortable place for walkers and campers to relax, whilst in the summer months visitors can paddle in the stream and enjoy an ice cream. Hiding in the quiet village of Armscote, near Stratford-Upon-Avon, The Fuzzy Duck (01608 682635) is a nice retreat, offering classic pub food with a sophisticated twist. Formerly the Fox & Goose, this one-time coaching inn also offers real ale and a good wine list – all in a peaceful countryside setting. There’s a secure garden for your four-legged camping buddy to run free, and they are welcomed with biscuits and blankets. The award-winning Nags Head (01684 574373) in Malvern offers a wonderful choice of ales, a friendly welcome and a delightfully eclectic décor. Away from the lager taps is the much-loved Batham's Best – sublime liquid gold from the Black Country. Antique chairs are grouped around a roaring open fire and the low-beamed walls are wonderfully cluttered to keep eyes busy. The Unicorn (01584 873555) features sloping floors, mahogany panelling, and beamed ceiling, making it a proper pub gem. If you are newly arrived at a Shropshire campsite – and looking to acclimatise to the relaxed pace of life – head here. Take a newspaper; nurse a pint of Ludlow Best in front of the fire, and enjoy a decent meal. In summer, the beer garden, which overlooks the River Corve, is a nice spot. Considering the amount of awards Titley’s Stagg Inn (01544 230221) has won for its grub – it’s got a Michelin star for instance – a first timer camping nearby be forgiven for thinking it’s purely a fine-dining establishment. However, this country inn is still a place where locals gather for a cider or pint of Hobsons Best Bitter. There’s no jukebox, just the hum of good old conversation and Herefordshire accents. West Midlands at Campsites in West Midlands, Going camping in the West Midlands? Read on to discover the best campsite for you. 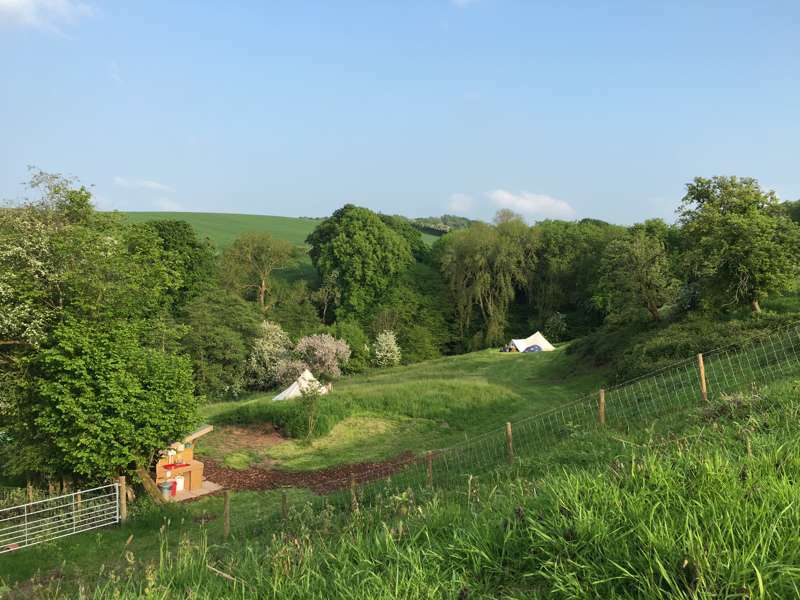 Here at Cool Camping we have a range of campsites to suit all tastes, from glamping spots to dog-friendly sites, scenic campsites to mountain view camping.